American insurance assets have flexible investment methods and wide channels of capital utilization, mainly invested in government and corporate bonds, stocks, mortgages, real estate and policy loans. In life insurance assets, bonds have been the most important investment, accounting for more than 50%; Since the 1990s, the share of stocks has been rising gradually, and it has remained at nearly 30% in the recent decade. It has surpassed mortgage as the second largest investment. The share of mortgage loans has been declining, accounting for 6.7% on average from 2002 to 2011. The proportion of policy loans and real estate investment is not high, which is maintained below 3% and 1% for a long time. Assets of us life insurance companies are divided into general accounts and independent accounts, and their asset allocation structures are significantly different. In 2011, stocks accounted for 2% of general accounts and 72% of bonds. Independent accounts, by contrast, have a bond weighting of 14% and a stock weighting of 79%. Since the 1990s, the scale of independent account asset management has increased significantly, which is the main reason for the increase of the proportion of shares in us life insurance companies. American insurance industry investment efficiency and high stability, in the life insurance industry, for example, in the 1980 s to the early 90 s, life insurance net assets yield changes within the range of 8% ~ 9%, generally remain above 7%, in the 90 s in the 20th century, influenced by the macro economic situation and financial policy yields fell, the range of 5% ~ 6%, since the 2008 global financial crisis further below 5%, the average net margin for three years from 2009 to 2011 by 4.43%. Although the investment income of life insurance assets has been generally declining since 1980, the current yield is still at a relatively high level and in a stable state compared with other countries and industries if the factors such as the economic growth rate, interest rate cycle and inflation rate of the United States are taken into account. American insurance assets have maintained a high level of income and stability for a long time, because insurance companies have a sound investment management system, advanced investment philosophy, efficient investment strategy, technical means and risk control ability, and take into account the principles of profitability, safety and liquidity of insurance funds. The United States is a typical country that strictly regulates the insurance industry, and implements the dual supervision system with the state government as the main body and the federal government as the coordination and guidance. The federal government has an insurance bureau that is responsible for specific obligations such as federal flood insurance, crop insurance and crime insurance. The national association of insurance commissioners is a nonprofit organization that also oversees insurance. In recent years, affected by the financial crisis and the actual need to strengthen risk management, the regulatory coordination function of the association of insurance supervisors of the United States has been continuously enhanced, playing an increasingly important role in information exchange, minimum solvency requirements, financial evaluation system, technical legal assistance and regulatory coordination. American state governments are the subjects of insurance supervision within their jurisdictions. They all have insurance bureaus, which, according to their insurance laws, exercise the right of insurance supervision centering on solvency and protecting the interests of the insured. A multi-level investment supervision system has been established, and channel management and proportion restriction have been strictly implemented. For example, the insurance law of New York state stipulates that the proportion of equity investment of insurance companies in common shares, partnership shares and other equity shall not exceed 20% of their usable assets, the proportion of investment in real estate shall not exceed 20%, and the proportion of overseas investment shall not exceed 10%. Strict channel management, proportion restriction and solvency supervision ensure that the insurance asset management industry in the United States has a strong anti-risk ability, and become the basis for the basic reasonable allocation structure of insurance assets, efficient and stable investment income. In addition to the above insurance regulatory systems of the federal government and state governments, the legislative and final dispute settlement systems of the insurance industry in the United States are respectively under the responsibility of the congress and the judicial system, forming a state of "dual multi-headed" regulation and the separation of insurance legislation, justice and administration. The American insurance regulatory system follows the constitutional order of checks and balances of powers, and the strict regulatory approach of "double tops" has its unique historical background, which plays a positive role in promoting the development of insurance investment norms. Draw lessons from the development of industry standards and strict risk control management mode and method, according to the development of China's economic and financial and risk management industry, should establish and perfect a set of regulation by the government as soon as possible, the industry self-discipline, the enterprise internal control and assessment of professional institutions, multi-level and comprehensive supervision system, in accordance with the principle of "actively prudent" regulation, and decentralization, development and stability, properly handle the relationship between the government and the market, break the curing thinking, adhere to the system first, expand investment channels, timely strengthening risk dynamic monitoring, the sustainable and healthy development of insurance capital management industries. 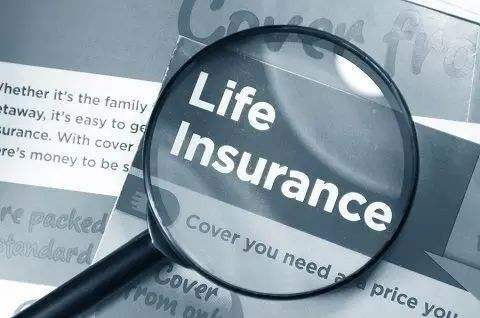 From the very beginning, the us insurance system has attached great importance to the regulation of solvency to ensure that insurance companies have the financial resources to fulfill their insurance commitments and maintain the safety of insurance investment and market stability. At present, China's insurance regulatory system is compliance regulation by the market behavior to the solvency regulatory changes, has worked out the related rules and regulations, but on the whole has not been established complete auxiliary system, the lack of financial status tracking, risk monitoring, early warning and risk management means and technology, is still in the "fire" passive state. It is necessary to draw lessons from the American insurance solvency regulatory system, deeply study and analyze its experience and lessons, combine with the actual situation of insurance assets management in China, constantly improve relevant systems and standards, and improve the solvency regulatory system of China's insurance industry as soon as possible. International insurance asset management, including the United States, operates through specialized organizations, which generally include three modes of specialized investment departments within insurance companies, specialized asset management companies and external entrusted investment, improving the comprehensive operation ability of insurance groups. In the context of the innovative development of the insurance assets management industry, China should continue to set up insurance assets management professional institutions according to the access conditions, especially support the small and medium-sized insurance companies to set up insurance assets management companies with perfect corporate governance and reasonable ownership structure to further enrich diversified market entities. In view of the fact that the application channels of insurance assets have been basically opened and the risk and return characteristics of different types of assets are quite different, specialized insurance assets management institutions are studied to meet the needs of innovative business and alternative investment. To meet the needs of market development, it is necessary to explore the establishment of a professional exchange for insurance assets management products, establish a docking platform for insurance assets management institutions, custodian Banks, registration and settlement companies, investors and other market entities, integrate market resources, and improve the efficiency of the industry. Most of the insurance underwriting business in the United States has little profit or loss, and the reason for maintaining long-term deficit operation is that the use of insurance capital has brought stable investment income, or the profit source of the insurance industry mainly depends on the management of insurance capital. The key is to establish efficient investment channels and investment structure through policy guidance. Revenue is still in the insurance industry is given priority to with underwriting, risk management level is not high, market competitiveness is weak, the overall investment yields low, and this insurance profit model and the development trend, also do not conform to the requirements of the healthy and continuous development of risk management, still need to continue to deepen reform, improve asset management capability and profitability. First, on the basis of the successive opening of overseas investment, infrastructure, equity and real estate investment, we will guide the industry to make good use of investment policies, realize the transformation from traditional finance to modern finance, from virtual economy to real economy, and from domestic market to international market, and realize the transformation of growth mode and profit model. Second, we should improve the income from the use of insurance funds as soon as possible and actively reverse this adverse situation through business innovation and structural optimization. Third, gradually reduce the excessive proportion of deposits in the insurance fund utilization structure in China, and effectively expand the fund utilization channels to adjust the investment structure. Fourth, we will further explore the feasibility and operational methods of using insurance funds for investment in policy loans, mortgages and financial derivatives, so as to enhance the profitability of insurance asset management. On the premise of effectively monitoring risks, timely relax restrictions on insurance capital loans and investment in financial derivatives. Financial integrated operation is the trend of The Times, the diverse needs of customers, from the banking, securities, funds, trust companies the fierce competition, the risk management strategy, technology, talent team puts forward new requirements and risk control, America's financial regulators signed a memorandum of understanding, set up supervision BBS way, strengthen the regulation of information sharing and coordination, strengthen supervision of the holding company and related party transactions. For risk management industry in China, to address the financial need to grasp the comprehensive operation has two aspects: one is coordinated supervision mechanism should be established and supervision level by circ regulatory Lord, the people's bank of China, the securities and futures commission, the China banking regulatory commission, safe and other departments to participate, the qualification, business control, operation, supervision, risk management and so on to strengthen comprehensive regulation ability, form a complementary information data sharing and risk prevention and control model of regulation, to ensure the healthy and standardizing development industry; Second, insurance asset management companies should firmly establish the business philosophy of "asset-liability matching management", strictly control risks and ensure the safety, profitability and liquidity of assets. The experience of American insurance supervision shows that the efficiency of supervision depends on the comprehensive authenticity of supervision information, the standardization of supervision index and the standardization of supervision behavior. Our country insurance information regulation relative lag, has established the "three net library" and accumulated a certain amount of information resources, but a lack of unified planning, the existing regulatory information system technology and regulatory indicators also does not have uniform standard, intelligent analysis function and regulators, unable to effectively implement system integration and resource sharing. Our country should use for reference the experience of American technology, make full use of modern technology, especially information means in the role of insurance regulation, to establish perfect information system and the centralized and unified insurance industry database, standard insurance company financial accounting methods and statistical indicators, improve the index system of insurance regulation and risk early warning system, improve the efficiency of insurance regulation and risk control ability.